Style is important. Especially when you are working on a big kitchen remodel and don’t want to go through all that time and money to get appliances that work but don’t look good. They should work, of course, but they should also look good doing their thing. 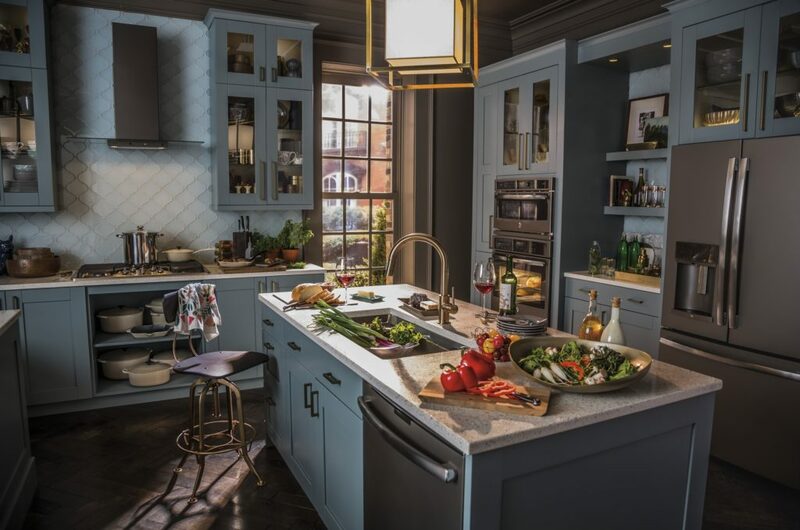 Luckily, GE Profile appliances give you the best of both worlds: Not only are they high-quality appliances, but they also look great getting the job done, especially if you go with their slate finish. No matter the reason you are searching for new appliances, GE Profile’s slate options will meet your needs, and then some! Here are just a few reasons why you shouldn’t pass on being great with slate. Whether you are replacing one appliance – or are looking to replace all of your kitchen appliances – making sure everything matches is important. Nobody wants a kitchen that is mismatched or looks like a bunch of jumbled ideas thrown together. For that reason, theming and colouration are important. And slate really is a chameleon colour – it will fit in no matter what the rest of your collection looks like. Worried about how it will look next to cabinets or your floors? Spoiler alert: Slate will fit in perfectly with whatever styles you have picked to centre your kitchen space around! If you are starting from scratch, however, slate also gives you a good base to start from. From there you can further develop how you want the rest of the kitchen to look. And, if you are looking for other ideas, check out these Slate Mood Boards that GE put together. Colour possibilities aren’t the only benefits of GE Profile Slate appliances – we don’t want to focus too much on form over function here. With your GE Profile Slate appliances, you are also going to have plenty of quality-of-life improvements, as well — You aren’t sacrificing substance for style. Slate is also only available with GE, so you’ll always get the quality that you know and love! 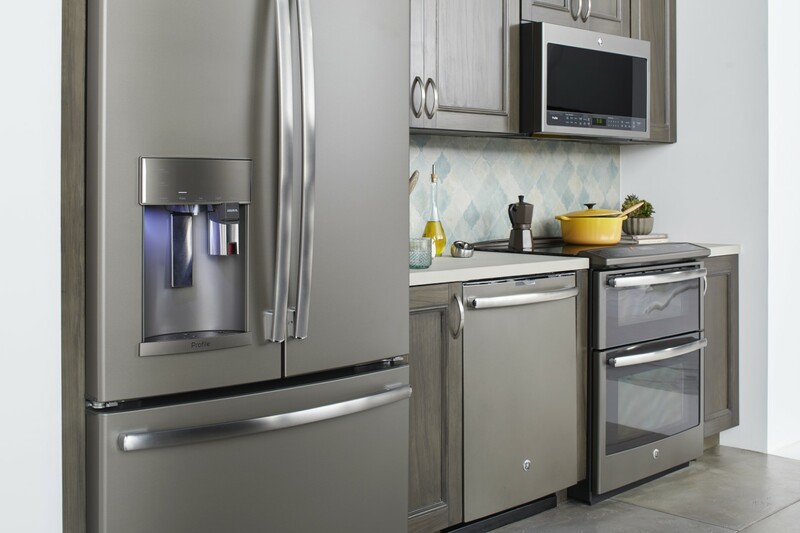 For example, the GE Profile Energy Star French-Door Refrigerator gives you a built-in K-Cup Brewing system! You can even schedule when you want hot water ready to go through the GE Kitchen App. On the baking side, a GE Profile Slate double wall oven gives you a wealth of features, including true European convection and a huge cooking capacity. And with all Slate finish appliances, there’s another really impressive bonus: It hides fingerprints, so you won’t have to waste all of your cooking time cleaning up. Of course, if you are looking to upgrade and not sure where you need to start, don’t let home renovations overwhelm you! Stop in today and our knowledgeable appliance experts will be glad to help you figure out what you need to get started with your renovation, and also help you find the best GE Profile Appliances to fit your unique needs and budget.